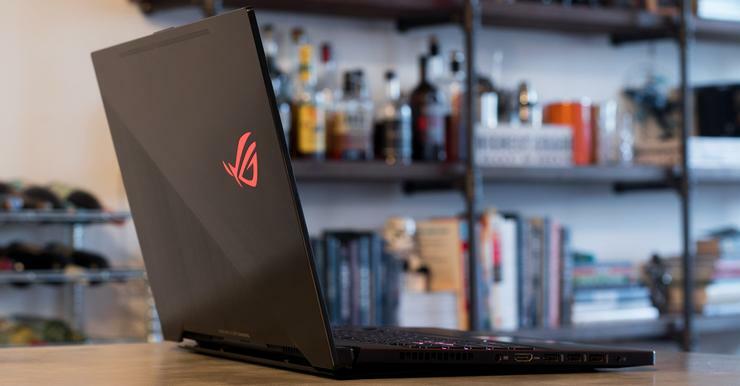 Last year’s ASUS ROG Zephyrus was one of the coolest gaming laptop we’ve seen in a long time. In fact, it even closed out the year as our pick for best gaming laptop in the 2018 PC World Editors’ Choice Awards. Now, ASUS is bringing the Zephyrus brand back into the spotlight with the new Zephyrus M.
However, for better or worse, a lot of the things that made the original Zephyrus such a brilliantly cool product when it debuted - particularly the ultra-slim form-factor - are no longer exclusive to it. We’re only a few months into 2018, and MSI and other competing brands already launched gaming laptops that are - if not matching - certainly sitting within the same ballpark as the original Zephyrus for thinness. As mentioned above, the Zephyrus M is essentially a refresh of last year’s Zephyrus gaming laptop - particularly when it comes to design. It’s got the same 3D Drawbench double hairline finish on the lid and is build around a lot of the same ideas. 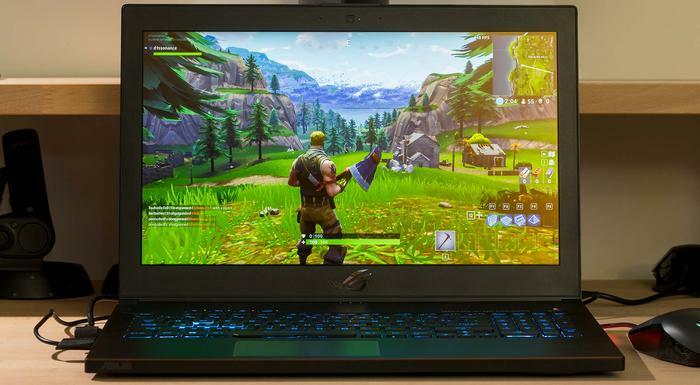 However, beyond any of category-leading titles ASUS have attributing to the Zephyrus M (“the world’s slimmest gaming laptop powered by an 8th Generation Intel Core CPU and NVIDIA GeForce GTX 1070 graphics”) there are a few other neat improvements that potentially make it a better buy than the original Zephyrus. For one, it’s packing a slick IPS-level display with a superfast 144Hz refresh rate and ultra-responsive 3ms. The original Zephyrus was only available with either a 60Hz and 120Hz panel - so this represents another major advantage that the new model has over its predecessor. It’s also running on an 8th-gen - rather than 7th-gen - Intel Core processor, which serves to propel it to new heights when it comes to performance. Those are the highlights, at least in terms of internals. 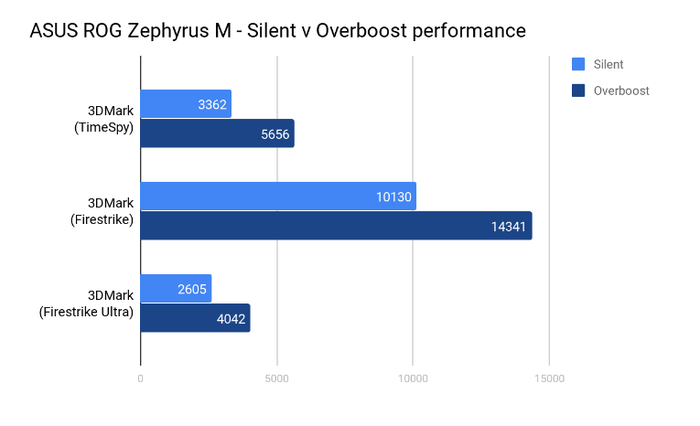 For the most part, the reality here is that a fair amount of overall design blueprint for the Zephyrus M has been somewhat recycled from the original Zephyrus. That said, this doesn’t necessarily hurt the appeal of the machine as much as you might think. The most-obvious example of this can be seen in the thermal manage side of the equation. Both Zephyrus units utilise ASUS’ Active Aerodynamic System (AAS) for thermal management, with the new Zephyrus M boasting a pair of 12-volt anti-dust fans. As with the first-gen model, opening the lid of the Zephyrus M raises the keyboard up on a slight angle, creating 20% more space for air circulation, increases airflow by up to 32%, and reduces internal temperatures by up to 20%. Even after a relatively-brief amount of time with it, we found a lot to be excited about here. That said, the bezels do seem a little thick by comparison to some of the other gaming laptops out there. This time around, ASUS’ AAS hardware setup is also being complimented by some new software features. The ROG Zephyrus M features exclusive software that allows users to switch GPU profiles according to the task at hand. You can activate the NVIDIA Optimus power-saving mode, which disables off the Zephyrus M’s G-SYNC functionality and discrete graphics card in order to prolong the devices’ battery life. You can toggle the fan between silence, default and “Overboost” mode and enable or enable or disable the “Game First” mode in order to maximize your performance. Jumping between modes is as simple as pressing the dedicated ROG button above the keyboard and making your choice. We’ve seen more elegant implementations of this sort of feature but, in terms of how much difference it makes, it really is worth making use of if you want to get the most out of the Zephyrus M.